It’s is said that Pattaya has over 1000 bars operating in the city. A very small portion of those are operated as ladyboy bars in Pattaya. If you are looking to meet a ladyboy in person, outside of the family-friendly cabaret shows, there are only a dozen or so bars that cater to the transgender community. You’ll find the bars are located in the Central Pattaya area, with many now located in the vicinity of Soi Buakhow, Soi 13/1, and Soi 6. However, this list covers the entire city and if you were to do a bar crawl you’d be covering almost the entire town from Walking Street to Soi 6 and beyond. If you spend some time visiting the many beer bars in Pattaya, you will have noticed (or maybe now you will) that a lot of bars have 1 or 2 ladyboys working on staff with the rest of the girls. Our list of the best ladyboy bars in Pattaya focuses its attention on the bars that have all, or almost all, ladyboy staff. You’ll find many types of bars available, everything from a relaxed atmosphere similar a trendy lounge back home, to go-go clubs and regular beer bars. There is something for almost everyone’s taste on the list. The 69 Beer Bar has been open for a few years and has become a popular spot. This open-air beer bar on Soi Made in Thailand has become quite popular with visitors who want to relax, play a few games of pool and have a drink with the ladyboys. It’s a good place to chill out and have a chat with the ladyboys or other travelers and expats. It’s an open air bar that looks directly across at a major beer bar complex, so it’s not the best if you require discretion. Sensations Bar has been open in Pattaya for a number of years. It has recently relocated to a new spot in Action Street. It is located in the first bar right on Soi Buakhao. The atmosphere is welcoming and relaxing, with seats at the bar and high top tables. There is also a pool table and TVs located around the bar. This bar is run by Paeng, who were featured in a special about ladyboys on SkyTV in Europe. A great little open air beer bar with a great staff and relaxed atmosphere. It’s been open for a couple years now and has been attracting some great talent as of late. There is a pool table that is free for customers. It’s a no hassle place to chill out and have a few beers. Need A Ladyboy Friendly Hotel? Find a guest friendly hotel in Pattaya that doesn’t charge a joiner fee. One of the newest ladyboy bars in Pattaya, Katoey’s R Us go-go bar has opened its doors on Walking Street. Now that Toys ‘R Us is out of business, they probably don’t have to worry about a trademark dispute. This bar started off as a mixed go-go bar, equal parts girls and ladyboys. It is now ladyboys only and it has one of the best line-ups in town. The air conditioning and beer are cold. The music is loud as you would expect in a go-go. This go-go bar is a nice change of pace from the other beer bars on the list. La Bamba Bar in Pattaya is another Pattaya ladyboy institution. It has been on Soi 13/1 for over 10 years, moving once to its current location across the street from its old one. La Bamba is a bar and guest house with several rooms available for rent upstairs. While it is an enclosed bar, there are glass doors and windows open to the street outside. Most of the ladyboy staff sit outside when they are not busy and leave the customers with a very low hassle experience. The staff are very friendly and funny if you choose to start up a conversation and offer them a drink. The Baby Boom is one few ladyboy go-go bars in Pattaya. Known for a fun and wild time, the Boom is well known for its private atmosphere and themed parties. The ladyboys in here seem to be pushier than most places on the list for getting you to buy them a drink, but the experience here is more ‘hands-on’ than other establishments. Not for the shy. The inside is small dark and the music is loud but doesn’t blow out your ear drums. Pook Bar on Soi 6 is another of the long lasting and well famous ladyboy bars in Pattaya. The owner used to have a second bar, Pook Swan House on Soi Buakhao that was closed several years ago. Pook Bar is the only all ladyboy bar on Soi 6. It is a large open-air beer bar with a couple of pool tables. The staff can be pushy at times, but for the most part, they are friendly and the bar is a good place to chill out and relax with a beer and a game of pool. Pook Bar is one of the few ladyboy bars in Pattaya that is open in the early afternoon till late at night. You can’t miss the place as you walk down Soi 6 as you’ll see ladyboys outside and a few taking turns dancing on small podiums around the bar. Lita Bar moved to a new location on Soi 13/2 in October of 2016. The owner, Lita, has been a proprietor of ladyboy bars in Pattaya for over a decade running several well-known venues. 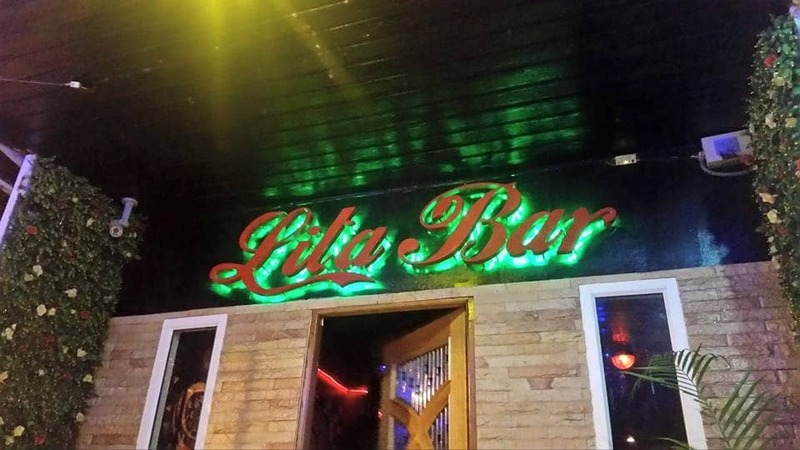 After being forced to move locations several times, Lita’s Bar has found yet another new home. The bar seems to be struggling a bit as of late and is in need of recruiting new staff. The House Bar relocated to Soi 13/2 and is now the VIP Bar. Located on Walking Street, My Way Bar is pretty well known, although most people get it wrong and call it Hot Tuna Bar. Often featured in youtube videos of Walking Street, the ladyboys who work there are not shy about encouraging customers to come in and have a drink. This bar has a strange layout, as it is one small area of a larger beer bar complex. High top tables near the front of the complex and a few pool tables in the back make up this establishment. While this is probably one of the less discrete venues, you might end up on someone’s video as you talk to a ladyboy, it is a good place to stop in for a drink and chat with the lovelies that work there. A mixed bar with girls and ladyboys, King’s bar is located on Soi 8. The bar has both and indoor and outdoor seating area for visitors to sit back and relax. The staff can be quite pushy at times, but like all bars it depends on who is working and if the rent is due. It’s worth checking out and deciding for yourself. A new ladyboy bar located on Soi Buakhao. A go-go bar with a strong line-up of talent. While not really a ladyboy bar, they do have several of the nicest ladyboys around working as staff. This is a large open air venue a bit out of the way in Naklua. It’s worth the ride over if you like live music, comfy chairs, and a relaxed venue. What can be said about the Fantasy Lounge? This place is infamous for a lot of reasons, most notably a large number of ladyboys loitering outside the front of the bar on Soi Buakhao trying to drag customers inside. A lot of people prefer to walk on the opposite side of the street when they come to this part of the road just to avoid the hassle. But one man’s hassle is another man’s gain and this bar is also quite popular with a number of regular Pattaya visitors. The hassle factor is high at the fantasy lounge. It seems to be a place you love or hate. A long-standing institution in Pattaya, Linda Bar on Walking street makes out top 10 list. While some will question the judgment here, I think it deserves a spot. It used to be a seedy little dive bar, but with the recent renovations, it now looks a lot more respectable. It has a great location on Walking Street where you can grab a table and have a few drinks while enjoying the madness unfold on the street in front of you. The hassle factor is very low, and you are not bothered unless you want to be. This location is not discreet, but it is situated in a great spot. Ladyboy Bar located on Soi Chaiyapoon. Another small ladyboy bar on Soi Chaiyapoon. That completes our list of the Top 10 best ladyboy bars in Pattaya. However, there are still more venue’s dedicated to the ladyboys and it didn’t seem right not to at least give them a mention. The Obsessions Club is a ladyboy gogo bar that people seem to love or hate. With too many stories of bill padding and aggressive behavior to ignore, may people avoid this place entirely or go in for a quick drink and look at which ladyboys are dancing that night. There have been a lot of different ladyboy bars that have opened and closed in Pattaya, even when they seemed successful. Below are some of the well know and favorite ladyboy bars from Pattaya’s past that are no longer open. Ezy Bar was one of the most popular and best ladyboy bars in Pattaya for a number of years. Run by Lita (our No. 4 Pick) and her sidekick Karl who played the role of bar DJ most nights. It well thought of for its excellent staff of ladyboys and welcoming atmosphere. After the closing of Ezy Bar Lita opened a new bar in Soi VC called Famous Bar. It was a great looking bar with an upstairs bar and pool table and spacious outdoor deck. However, it was in a horrible location that people had trouble finding and wasn’t conveniently located to any other bars. It lasted a few years before closing down. It was hard to believe the news when Pook Swan Bar was shutting down. The beautiful ladyboys dancing on the tables for all to see as you made your way down Soi Buakhao was an iconic image of Pattaya. The bar had a large number of beautiful ladyboys who worked there and it seemed like a popular spot. The building has since been renovated and features a coffee shop, restaurant, and guest house. None of which ever look busy. It was disappointing to see So What Bar on Soi 6 got converted to another girlie bar in 2017. Stringfellow’s used to be located at the top of Soi 13/1 a couple years ago. Along with The House and La Bamba, make it one the best streets for ladyboy bars in Pattaya. But things change and one day the doors were suddenly closed without warning, never to reopen again. Sensation bar , La Bamba and Lita bar has nice and friendly staff. Nobody pushy. Baby boom very bad air (smoke) ,very pushy and unpolite. Let’s not forget the Malibu bar, Soi Post office, always a fun night!